The man who is the father of the well known Big Mac burger at McDonald’s restaurants, has now officially passed away at a age of 98. 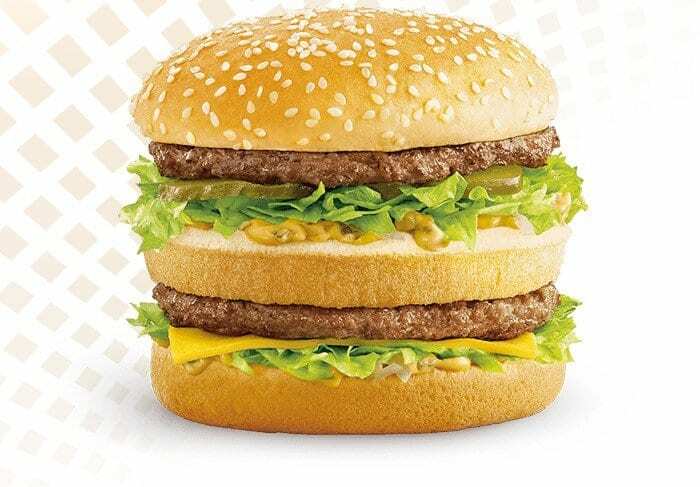 Michael «Jim» Delligatti managed to invent Big Mac at a McDonald’s restaurant in Uniontown near Pittsburgh in the United States. We had to check one more extra time to see if this news wasn’t fake. But it’s not. Kerry Ford which is the spokesman for McDonald’s told the press about it on 1st of December 2016. You can also read the message on McDonald’s Twitter page. In the article that this post is taken from, its written that Delligatti told the McDonald’s restaurant in Oak Brooks, Illinois was quite sceptic to his new Big Mac idea. They ment that a easy menu with hamburgers, cheeseburgers and fries sold well. But mr Delligatti wasn’t so easy to stop. He was a franchise owner and he started to expand it to his 47 other McDonald’s reastaurants in 1968 in United States. Now in 2016 there are McDonalds restaurants selling mr Delligatti’s Big Mac burger in 120 countries worldwide. In 49 years, The Big Mac burger at McDonald’s has been sold worldwide and it even got its own index, to see how much things costs in each country also. In 2015, Norways had the most expensive Big Mac at 48kr which is about 4.3 Euro. In USA alone, McDonald’s managed to sell 550 million Big Mac burgers in 2007, when the burger celebrated its 40th day. Now in 2016, this number is for sure still high but McDonald’s do have a quite tough competition from Burger King, Wendys, KFC and MAX here upnorth. Here at Distrita, we think that the image of McDonald’s have sort of got more weak after the red, white and yellow McDonalds clown is now less and less seen in adverts and restaurants. It was such an iconic thing for the franchise. What do you think of McDonald’s? Do you eat there often or not ? Share your comments with us on Facebook or Twitter! Distrita send all thoughts to Delligatti’s family. Whatever people say, he did something that no one did before him with one type of burger. He managed it to be worldwide known and it even got its own index. Fastfood from USA is another discussion topic, but it sure made quick food available here and there. The burger was invented at McDonald’s, Pittsburgh, Uniontown, Pennsylvania, USA. So, now you know where Big Mac was invented! Is Fast Food Health The Most Trending Thing Now? Can it be Healthy?